The best tango music on the internet. Spotify has a huge collection of tango music for us to listen to and purchase. However, not all of the songs available are in high quality. In fact, a lot of the older compilations have songs in quite terrible quality and the tango fans should be aware of this before they make their decision to purchase a song or an album. In this blog I will always try to help you to find the music you want in the highest possible quality. What is the difference of bad quality and good quality? 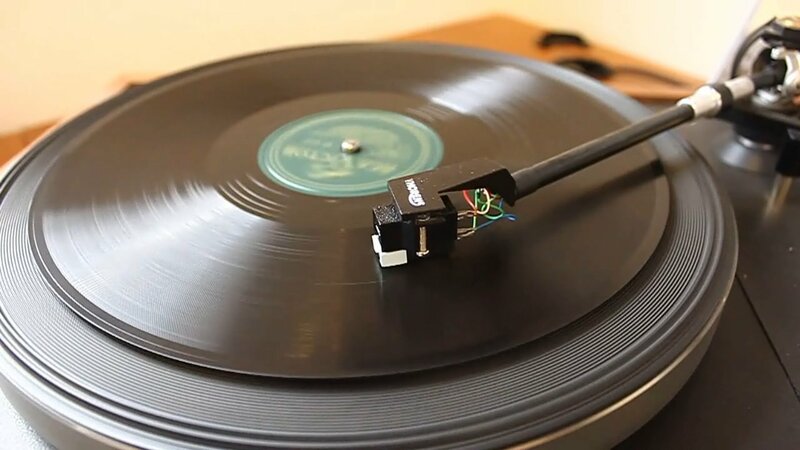 One of the common mistakes, that was made when the digitalization of old tango recordings from shellac records and vinyls to CD's started, was that the goal was to remove all the background hiss and noise of the record, at any cost necessary. Mostly due to lack of high quality equipment and perspective and will to save the true quality of these recordings, this resulted in the songs sounding very flat and unnatural when all the high end frequencies were eliminated taking half of the string section with them. Fortunately, in the recent years, there has been a lot of re-digitalizing and remastering of the old tango recordings and good quality releases and this time with a greater understanding of what we want and need to hear when we listen to these classic recordings. So when you listen to an old recording from 1940 and you don't hear any of the noise of the record you should be concerned. After all these songs were released on shellac records and later on vinyl and so even on cd or in mp3 they should still sound like it. Of course most the background noise can be minimized (especially the clicks and the pops) but should not be done with the cost of losing the natural sound of the orchestra. What is the process of the digitalization? Ignacio and Augustin from the Tango Digital Archive explain the process of how the tango digitalization is done right. Please take a moment also to learn more about the work that the Tango Digital Archive does to save tango heritage. There are more extreme examples out there than this but you should get the idea. Put on your headphones and listen carefully the playlist of sound quality examples and to the songs 1-3 and the very natural sound of the first version of "Cada dia te extrano mas" by Anibal Troilo. You'll notice that there is hardly any background noise but still you have a very rich full sound of the orchestra. On the second example you'll notice more background noise but still a good quality of natural sound. On the third example you'll notice all the background noise gone and so is a lot of the high end frequencies giving the song an unnatural sound like you were listening to it from the next room. Often the low quality of a tango song is not because the music is old and it was recorded in bad quality but because simply the digitalization of the recording was not done right. Also remember that the background noise is not necessarily a sign of bad quality. If the digitalization wasn't done right then having a 320kbs mp3 or a Flac file doesn't make any difference. It is still a low quality version of the song. Other things to look out for is the pitch of the song. Here are two examples in songs 4-5 how the older digitalization (track 4) of "Soñar y nada mas" was made with the wrong speed and it is considerably slower (and also 10 seconds longer) than the correct speed of track number 5. One more thing you'll see sometimes on Spotify is songs having the wrong title as in examples 6-8. Number 6. is the song with the wrong title "Trasnochando", 7. is the song with the right title "Ninguna" (notice also the differences in quality) and 8. is what "Trasnochando" actually is. You will also often find song titles slightly misspelled, so if at first you don't find the song you were looking for don't give up too soon. Also in many cases there are no excellent quality versions of a song available on Spotify and you need to look for it elsewhere, like in the case of "Trasnochando" by D'Agostino. I have continued the playlist with more examples. Usually there's the better quality version of a song first followed by a worse quality version.